PASADENA, Calif. -- The project team that built and operates the Mars rovers Spirit and Opportunity has become the first NASA space mission to use cloud computing for daily mission operations. Cloud computing is a way to gain fast flexibility in computing ability by ordering capacity on demand -- as if from the clouds -- and paying only for what is used. NASA's Mars Exploration Rover Project moved to this strategy last week for the software and data that the rovers' flight team uses to develop daily plans for rover activities. 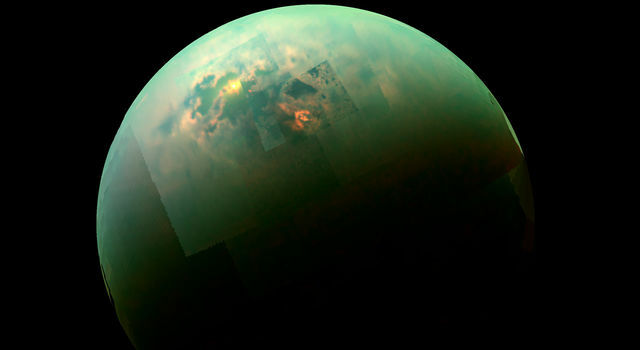 NASA's Jet Propulsion Laboratory, Pasadena, Calif., which manages the project, gained confidence in cloud computing from experience with other uses of the technology, including public participation sites about Mars exploration. "This is a change to thinking about computer capacity and data storage as a commodity like electricity, or even the money in your bank account," said JPL's John Callas, rover project manager. "You don't keep all your money in your wallet. Instead you go to a nearby ATM and get cash when you need it. Your money is safe, and the bank can hold as much or as little of the money as you want. Data is the same way: You don't need to have it on you all the time. It can be safely stored elsewhere and you can get it anytime via an Internet connection. "When we need more computing capacity, we don't need to install more servers if we can rent more capacity from the cloud for just the time we need it. This way we don't waste electricity and air conditioning with servers idling waiting to be used, and we don't have to worry about hardware maintenance and operating system obsolescence." Spirit and Opportunity landed on Mars in January 2004 for what were planned as three-month missions. Bonus, extended missions have continued for more than six years. Opportunity is currently active, requiring daily activity plans by a team of engineers at JPL, and scientists at many locations in North America and Europe. 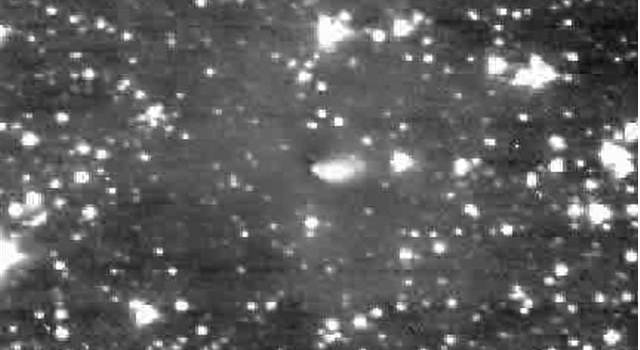 Spirit has been silent since March 2010 and is believed to be in a low-power hibernation mode for the Martian winter. "The rover project is well suited for cloud computing," said Khawaja Shams, a JPL software engineer supporting the project. "It has a widespread user community acting collaboratively. Cloud enables us to deliver the data to each user from nearby locations for faster reaction time." Also, the unexpected longevity of the mission means the volume of data used has outgrown the systems originally planned for handling and sharing data, which makes the virtually limitless capacity of cloud computing attractive. JPL collaborated with the cloud team of Amazon.com Inc., Seattle, to plan and implement the use of cloud computing in the Mars Exploration Rover Project's daily operations. JPL developed the rover project's activity-planning software, called Maestro. "We have worked closely with multiple cloud vendors since 2007 to learn the best ways to gain the advantages of cloud computing," said Tomas Soderstrom, chief technology officer for the JPL Office of the Chief Information Officer. "To implement JPL CIO Jim Rinaldi's vision of renting instead of buying capacity, we pragmatically look past the hype about cloud computing to find the practical, cost-efficient real mission applications. The Mars Exploration Rover project's use of clouds is one example of this results-oriented partnership. More will follow." In support of the federal Open Government Initiative, which increases public access to data collected by the federal government, JPL collaborated with the cloud team at Microsoft Corp., Redmond, Wash., to launch the "Be a Martian" website in November 2009. The site enables the public to participate as citizen scientists to improve Mars maps and take part in Mars research tasks. At this site -- http://beamartian.jpl.nasa.gov -- more than 54,000 people have signed up to be "Martian citizens" and analyze data. 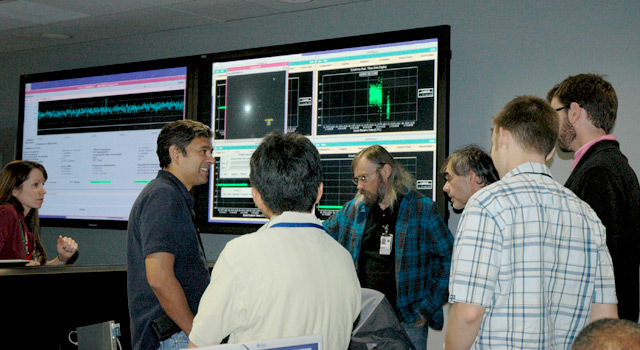 For another early use of cloud computing, JPL worked with the cloud team at Google Inc., Mountain View, Calif. The Google cloud served a project in which JPL and computer science students at the University of California, San Diego, developed an educational application enabling fifth- and sixth-graders to tag labels onto images from Mars spacecraft. In addition to establishing a private cloud and working with Amazon, Google and Microsoft, JPL has also collaborated with other vendors of public cloud computing. Soderstrom said, "We defined a 'cloud-oriented architecture' to use clouds as an extension of our own resources and to run the computing and storage where it is most appropriate for each application." The extended missions of Spirit and Opportunity have provided a resource for testing innovations during an active space mission for possible use in future missions. New software uploads giving the rovers added autonomy have been one example, and cloud computing is another. 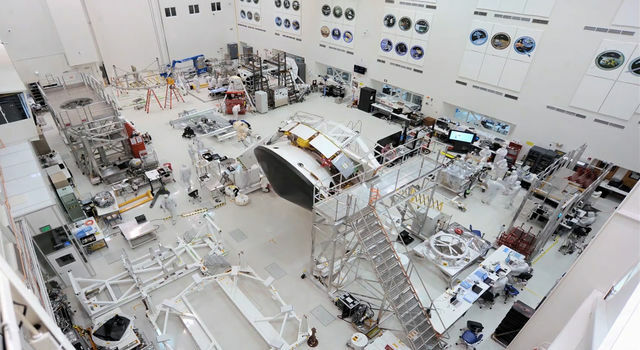 JPL is currently building and testing NASA's next Mars rover, Curiosity, for launch in late 2011 in the Mars Science Laboratory mission. This rover will land on Mars in August 2012. Shams said, "The experience we gain using cloud computing for planning Opportunity's activities may be valuable when Curiosity reaches Mars, too." JPL, a division of the California Institute of Technology in Pasadena, manages the Mars Exploration Rover Project and the Mars Science Laboratory Project for NASA's Science Mission Directorate, Washington. For more information about these projects, see http://marsrovers.jpl.nasa.gov and http://mars.jpl.nasa.gov/msl .